Ever dreamed of winning the Iditarod? Me neither. But, last winter I did take my 9 year old daughter on a sled dog trek in Emigrant, Montana. It was an amazing experience! I drove my own team of 8 dogs and it opened up a whole new world of adventurous family things to do in winter. Dog Sled Montana is located at Chico Hot Springs Resort www.chicohotsprings.com located in the scenic Paradise Valley north of Yellowstone Park. A short ride to the trailhead in the four door truck with other participants let us get to know each other. We drank coffee and hot chocolate in the chill of the crisp mountain air while the guides went to work. I was amused by the dog’s excitement. As the guides began the arduous task of setting up the sleds and harness lines, the dogs occasionally howled or barked from the truck. But, when the first lead dog was led to the harness and attached to the sled, all hell broke loose. The dogs barked and howled in unison. The phrase, ‘pack mentality’ came to mind. It was entertaining. After a quick lesson and reassurances yelled at me by my guide over the howling dogs, I was ready to mush! The trek was a lot of fun. Excitement overcame the cold morning quickly as the dogs pulled the sled with just me and my kid. They quickly caught up to the guide’s sled in front of us. I braked as instructed slowing the sled a little. I was amused that each time I slowed the sled down, a dog or two would look back at me. And, when I braked the sled to a stop, at least 6 of the 8 dogs would look back at me as if to say, “what the hell are you doing? Let’s go!” The dogs really enjoy pulling the sleds. I could feel their excitement through the harness. After about a 10 mile round trip, we were back at the trucks for a picnic while the guides prepared to drive us back to Chico Resort. It was the perfect initiation for my daughter. By the time she was beginning to get cold, we were drinking hot chocolate and loading up in the truck. For me, I am ready to do it again and I have to warn you that it is addictive being at the helm of such powerful animals. The trip went quickly, but it was enough to get me hooked. As soon as all the sleds were parked, the dogs were laying down or standing silent, the stillness of the peaceful mountain air broken only occasionally by a lazy howl. Love dogs and the outdoors and just don’t have the time to compete in the Iditarod? Then chill in the pool at Chico Hot Springs after a very memorable morning with Absaroka Dogsled Treks. They are open 7 days a week from Thanksgiving through March. 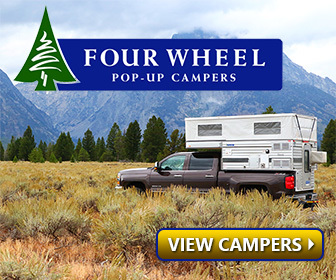 Give them a call at 406-223-6440 or email at [email protected]. Check them out at www.dogsledmt.com. Not planning to be in Montana? Want more adventure than a day trip? Head to McMillan, Michigan to Nature’s Kennel and choose 10 mile, 20 mile and overnight trips. 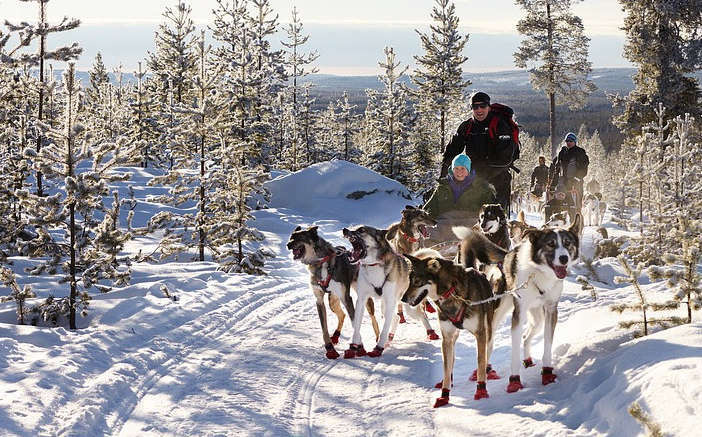 Learn to mush and make it an adventure with one of their packages. Natures Kennel has new yurts and cabins to offer guests on the overnight trips and there is a sauna awaiting after spending the afternoon snowshoeing. Check out natureskennel.com for more information. The owners ditched their real careers to pursue their dream of running this business and their success reflects in their love of the dogs. If you’re on the east coast, check out New England Dog Sledding for a variety of multiple day dogsled packages in the White Mountain National Forest on the Maine and New Hampshire border with New England Dog Sledding in Mason Township, Maine. New England Dog Sledding has been offering trips for over 17 years. They offer everything from a 1 hour mushing trip to a 3 day “Learn To Mush” package. See all the available trips and price packages at newenglanddogsledding.com. So, no matter where winter traps you, there is an escape not far from home if Huskies and snow is your idea of fun. I promise, the dog’s excitement is contagious. So, if you can find a team of dogs near you, I highly recommend this fun and exciting winter activity. You will have a howling good time. Be the first to comment on "Dog Sledding in Montana Means Family Adventure in the Winter!"